The BRICs have made enormous strides but now face real challenges. 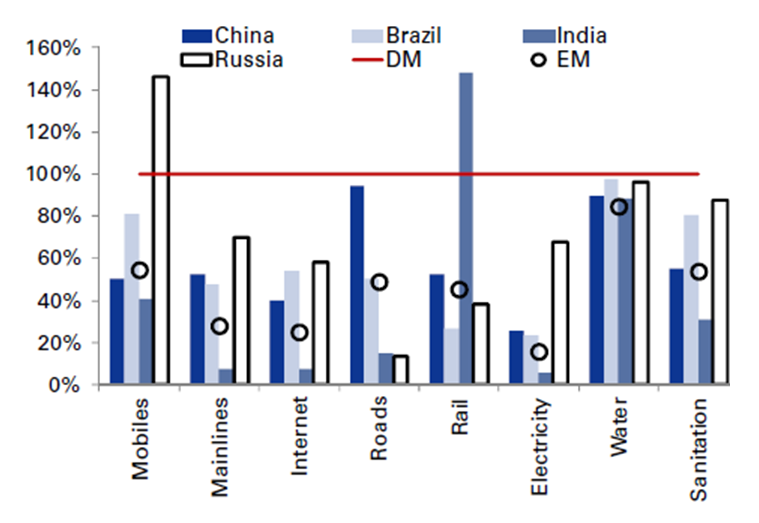 The rise of the BRICs – Brazil, Russia, India and China – has been meteoric. Each is now established among the world’s top 10 economies. This year the IMF expects the bloc to account for one-fifth of global GDP after a four-fold increase over the past decade. China has been particularly irrepressible; becoming the world’s second biggest economy and largest manufacturer and exporter. And with annualised growth of 10% over the past decade, it has accounted for one quarter of global growth and was a rare stabilising force during the financial crisis. One could point to any number of remarkable ‘BRIC feats’ to illustrate the point. Yet, one could also be forgiven for thinking some of the lustre is fading. China can no longer simply throw money at infrastructure in order to keep growing nor can the BRICs any longer rely on Western demand for cheap exports. Brazil has already slashed interest rates; India is challenged by sticky inflation. All four countries are in a very different position to ten years ago and that is a headache not just for them but for the rest of the world and investors. There is a lot riding on the continued and sustainable growth of these economies and while the world should cope with a China growing at 7-8%, anything significantly less would be a problem. While there are certainly cyclical factors at work, there are also structural problems which must be addressed if the BRICs are to remain on their upwards trajectory. 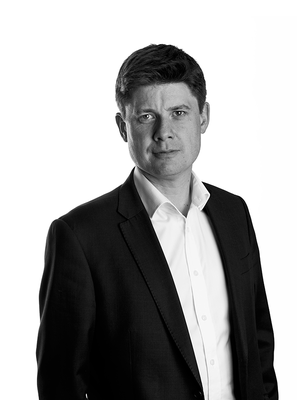 Structural change, rebalancing and reform programmes are needed. 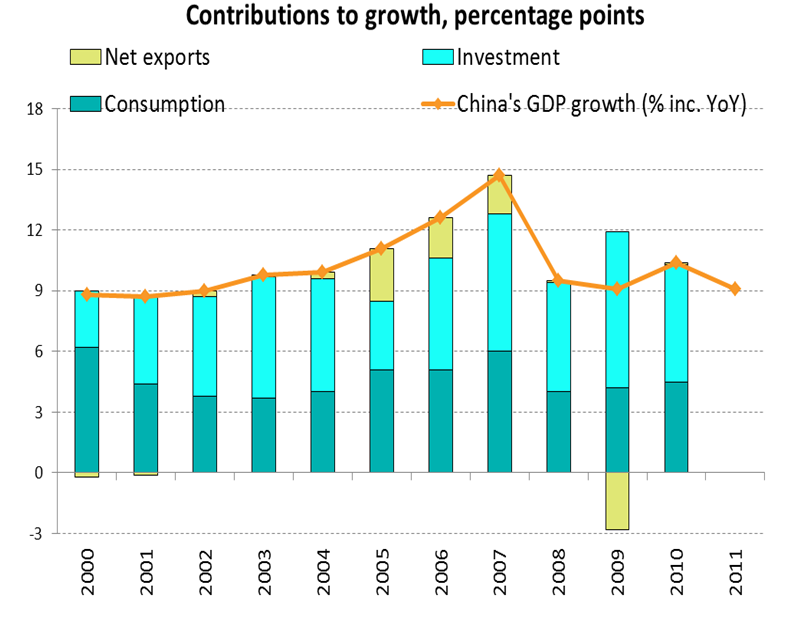 China is still a managed economy and should be able to achieve sustainable growth of say 7-8% growth for a few years. But looking further out, if it is to assume its rightful place among the world’s high-income countries, reform is vital. While the outgoing Hu Jintao stressed this point in his farewell speech at the recent 18th Communist Party Congress, the general reaction to the new standing committee was disappointment at the lack of reformers. But the new leaders are under real pressure to address China’s structural problems and recent history has shown China’s leaders to be adept stewards of the economy. It should be a fairly safe bet that they will do what is needed now. The world needs to accept that China’s economic model is going to shift from exports and investment to services and consumption. The government has set targets to double GDP (again) and, for the first time, per capita income by 2020. Expect to see the deregulation of the financial system start to speed up with liberalisation of interest rates and expansion of bond markets. Pilot schemes are cropping up with greater regularity. In Shenzhen, one of China’s first Special Economic Zones set up in 1979, the government is offering tax breaks in a bid to encourage and nurture services businesses but, more importantly, it allows companies operating within the zone to raise capital offshore, generally not allowed. Municipal and high yield bonds have been launched while corporate bond issuance is up markedly this year. India could do worse than follow Russia’s recent example. President Vladimir Putin has stepped up an anti-corruption drive with a series of probes and some arrests. This will encourage potential investors. Russia is also once again talking seriously about industrial policy; Putin has promised to create 25 million high-skilled jobs. At the centre of the industrial revival will be aircraft manufacturing, not presently a big industry in Russia. A Russian airliner, MC-21, will be ready in 2015 and is intended to compete with Boeing and Airbus. Russia also has Skolkovo, a 400-hectare research and development hub and “Technopark” just outside Moscow, billed as Russia’s answer to Silicon Valley. Which leaves Brazil, where growth has fallen to levels more typically seen in developed economies. The country has seen a remarkable transformation over the past 20 years, a growing middle class has led to a robust domestic economy with the result that private consumption now represents 60% of GDP on the demand side. However the country is still blighted by transport bottlenecks and below-par infrastructure. A vast amount of produce is lost simply falling from the back of trucks travelling on bad roads, while it takes longer to get goods across the country than from Brazilian ports to China. But it has a unique opportunity to kick-start infrastructure development as it plays host to the 2014 World Cup and 2016 Olympic Games. Some $25bn has already been earmarked for spending related to these events. Do the BRICs face significant challenges? Yes. Are they capable of meeting them? Certainly. The benefits of reform have been amply demonstrated in recent decades. Targets have been set and change is starting to come through. This round of reform will be more gradual and will not have the same explosive impact as those which have gone before. But there are still attractive rewards on offer, not least more sustainable growth models with greater resilience to external shocks and less dependence on the developed world.